The Board of IAGB spent a busy month on preparing for the upcoming college application process workshop series, formulating the requirements for a revamped IAGB website and scouting venues for India Day - 2018. IAGB is proud to announce that for the first time in its history IAGB will host India - Day celebrations at Boston City Hall Plaza. 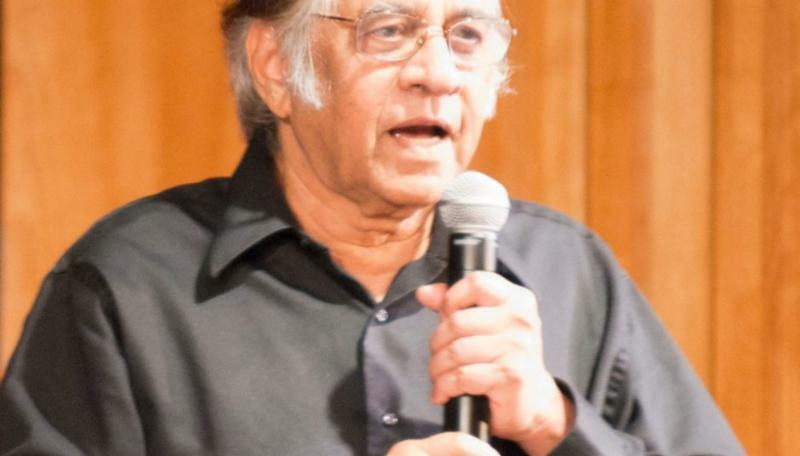 Community Spotlight: Dr. Anil Saigal, Co founder of Lokvani - a community news portal. IAGB will move to Boston City Plaza to celebrate India Day 2018. IAGB plans to take advantage of The Boston City Hall Plaza open space but which is surrounded by the buzz of Boston city life to bring a new charm to the India's 71st Independence day celebrations. The City plaza is easily accessible by public transportation which will help the mostly suburban community to travel and have an exciting summer day. Like every year, this year too it will be a day-long event with cultural programs and plans are being made to add some other fun filled activities for all ages so that most attendees will go home with 'participation' memories. IAGB expresses condolences on behalf of all its members on the passing away of IAGB ex president Shri. 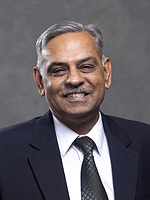 Mohan Dali. Today, many (over 4 million according to the 2016 American Community Survey data) of us in the US are first generation Indian-Americans, a label attributed to people who were born in India and who subsequently immigrated to the US. A large fraction of us spent our formative years in India doing our K-12 and undergraduate, perhaps even graduate studies there. Through our fellow Americans including our children, we get to learn and become familiar with the ins and outs of education system in the US. According to an article in the Washington Post, there are some 5,300 colleges and universities in the United States, everything from community colleges to Harvard, referred to collectively as the American higher-education system. The American higher-education system remains the envy of the world and many of us often find ourselves, along with our children, at the threshold of a rather daunting process of American college selections and applications, daunting because we are yet to get familiar with what this truly entails, challenged by the complexity and uncertainty of the process. Questions plaguing us range from how colleges evaluate applications, to narrowing options and selecting the right balanced college list, to planning an ideal high school academic program, to gathering suggestions for avoiding common application pitfalls. 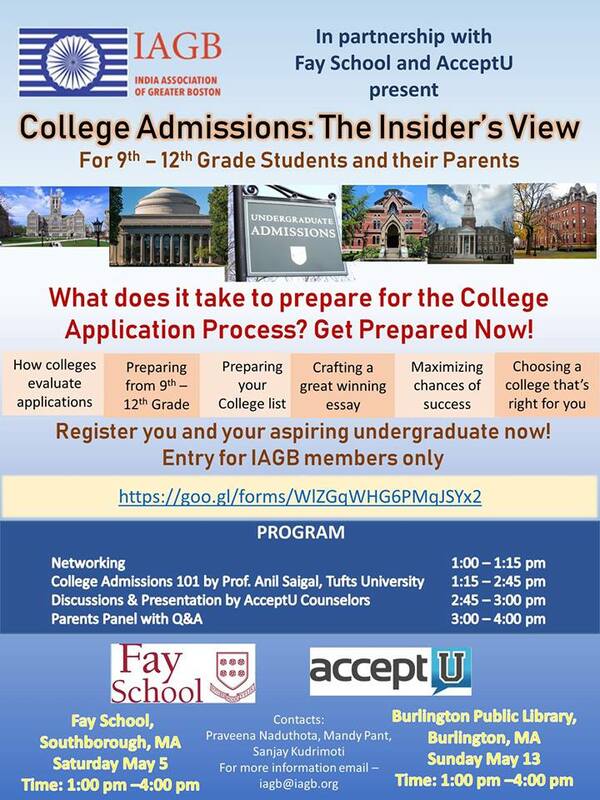 IAGB, is organizing a set of college application process workshops targeted for high school students and their families to help them get familiar with the process. These three hour workshops will cover an overview of the process along with providing various tips and pointers. There will be a panel discussion amongst several parents who have gone through the process of college admissions with their children. Please see attached brochure below (Upcoming Events) for details on how to sign up. That was the familiar line from Mohan Dali Ji. Such a tremendous influence he has been, on each of us that were fortunate enough to have worked with him. At practices and rehearsals, he was always the first to arrive and the last to leave. He would be right behind the curtain on one side pulling the curtain open and close and was always there to ease away any tensions or jitters we may have before going on stage. With the decades of history in theatre and cinema, he was this ocean of wisdom, a benevolent guru, an elder, a friend, someone you could talk to and ask anything, and know that what you get back in return, would be something nice, something thoughtful, something thought-provoking, something not only about theatre but about life, we were learning about life, about companionship through theatre. Any knowledge or advice he gave to us, it was through niceness. It was priceless. He always challenged us to do better, he noticed the minutest of details and adjusted. It was amazing. For dialogues that were sometimes just a couple of words, he would set context through multiple perspectives and then go into the mind of the character, as to what the character might be thinking or feeling when he or she utters those words. He was not easy to please though, which I think was his way of ensuring we work harder. Some of the most memorable moments were the feedback sessions after rehearsals and after a performance, when he would go character by character and sometimes reprimand, sometimes praise, sometimes admonish and sometimes point out something clever or funny and do a 360-degree analysis of the play and everyone’s performance. Even when reprimanded, it felt good for it was coming from him, and I knew, we all knew, it was because he cared. He managed to draw the best out of each us. Then there were the stories from Bombay Cinema where he would recount, unique anecdotes from the times when he was with the greats like Rajesh Khanna, Dilip Kumar, Raj Kapoor, Dev Anand and many more, while we sat engrossed listening, for hours sometimes. I am fortunate to have played a character originally performed by Rajesh Khanna, in fact, written with him in mind, in the play called “Pagal“, it was staged in 2011 by Hindi Manch. He told us of exactly how and when the play was written, in an Irani Chai place, such beautiful stories. He carried himself with utmost grace and elegance and was extremely refined in his thinking. You could see his compassion, understanding and kindheartedness in how he interacted and addressed everything. He went out of his way to make hesitant newcomers feel better, feel comfortable. It felt he was going to be with us always. It felt like there was time to have even more opportunities to work with him. Alas, feelings are infinite, life is not. But in many ways, he is with us, and he will always be with us. As we carry the learning from him and continue to bring the community together through theatre and cultural events. He continues to live in theatre and in our hearts. Rest in peace Mohan Daliji. We love you and we miss you. Mind and body are inseparable aspects of one’s health. The relationship between mind and body can influence health and quality of life positively or negatively. It is rather a fine balance between the physiological and psychological processes. The most important system which controls the inside of the body is Autonomic Nervous System (ANS). The ANS plays an essential role in keeping the body's internal environment in proper balance, maintaining the Homeostasis. It also has a major impact on emotional experience and expression. The autonomic nervous system imbalance can trigger chain reactions that affect heart health, blood chemistry, digestive and immune systems. The ANS is divided into Sympathetic Nervous System (SNS) and the ParaSympathetic Nervous System (PSNS). Both these systems can stimulate or inhibit the body reactions. However, they work in opposition and either one or the other is activated at a time. SNS prepares the body for the “Fight or Flight” situations while PSNS promotes “rest and digest” state. The SNS works as an emergency system, it increases the blood pressure and heart rate, dilates the pupils of the eyes, shut the guts down, produces more glucose, etc. The PSNS helps with the recovery, it slows down the heart rate, decreases the blood pressure, and activates the guts for digestion. During the threat to survival, the SNS takes precedence over PSNS. It strongly inhibits PSNS activities. Thus, by consciously or subconsciously responding to emotional, personal, or social events, we put the SNS in control over PSNS. This creates the continuous state of emergency disrupting the relaxation and recovery of the body. To promote healthy living one must keep SNS turned off and let PSNS take over the healing. The body, when reacts, cannot differentiate between whether the angry emotions or extreme fear are a product of thoughts or an actual experience threatening survival. The mere emotions and thoughts can make body shift into sympathetic mode. The well-being of the ANS is critical and is often overlooked. A major population today have some degree of constant sympathetic dominance. It is a major cause of all diseases and health issues. Maintaining autonomic balance is the most important skill one should possess. The ancient science of yoga has emphasized on the life energy, Prana. The source of prana is Breath! Breathing (respiration) is a pure parasympathetic activity. Practicing conscious breathing techniques such as Pranayama or breathing meditation activates PSNS. Performing conscious breathing does not only allow physical shift towards parasympathetic dominance but also helps to stay in control of thoughts and emotions. Breathing is a powerful tool. It affects respiratory, cardiovascular, immune, neurological, gastrointestinal, muscular, and psychological systems. It also influences sleep, memory, concentration, and overall energy levels. A state of good physical health and blissful mind reflects the balanced autonomic system. Happy Breathing! May the source of life bring the state of complete harmony! This month we are shining the SPOTLIGHT on Dr. Anil Saigal, Co- Founder Lokvani - a community news portal . IAGB : Can you please talk about your community service as related to your work through the various organizations to date. Anil Saigal: It has been a privilege to be part of the wonderful Indian American community in Boston. I like to support all the good work that goes on in the community. It is this interest that led to the creation of Lokvani – the community news portal. That has led to several community service opportunities. At an organizational level my long term association has been with IAGB and IIT AGNE – IIT Alumni Organization of Greater New England (formerly IIT SINE). I have served as the President of both organizations. I am a charter member of TIE Boston. 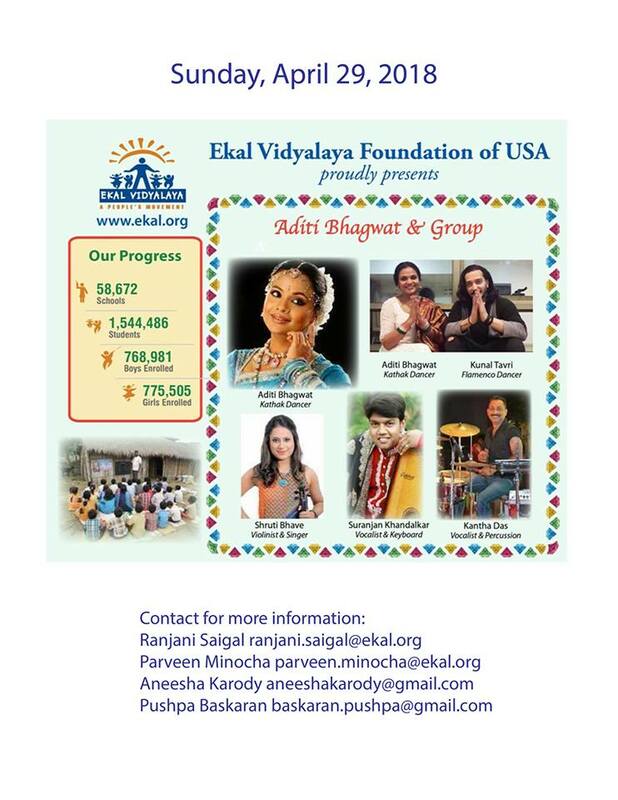 I also support Ekal Vidyalaya Foundation of USA and the North South Foundation. Currently I serve as a Asian American Commissioner. IAGB : Is there one organization which stands out for you? Anil Saigal: Lokvani is of course a very important part of what I am passionate about. I care deeply about the community and find Lokvani to be an important tool to serve the community. Having volunteered for many years with IAGB and having served as President, it is certainly an organization that is close to my heart. However as a faculty member what I care most about is education. I love supporting Ekal Vidyalaya for it brings education to over 1.7 million children, who otherwise would have no opportunity to get an education. I also very much enjoy providing guidance to students on the college selection process. There is nothing that gives me greater pleasure than seeing youngsters achieve their potential. IAGB : You are heading the workshop seminar on College Application Process organized by IAGB on May 5 th and 13 th , 2018. Could you reflect back on your prior experience with such workshops. Anil Saigal: I have been conducting college preparation work shop in the community now since 2004. It started with my own need when my children were going through the process. At that time, I found that many parents were really clueless about the system and process of preparing their kids for college admissions. One of things I observed was that parents put way too much emphasis on extracurricular activities sometimes at the expense of their kids’ regular studies. I advise parents that academics matter to the largest extent in the normal college applications. IAGB : What is one advice that would you give parents' of kids who are currently in middle or high school? Anil Saigal: You cannot outsource kids’ education. You have to work with them. Sending kids to basic math classes does not substitute your involvement with them. Most Indian immigrants have strong academic background and are certainly capable helping their kids with basic math, science and reading. Also kids do what they see parents doing not what you tell them to do. Simple acts like reading the books with kids and solving problems with them helps a lot. IAGB : Can you comment on the higher education system here in US and contrast it with Indian system? Anil Saigal: The great thing about the US higher education system is the importance it puts on the overall foundational development. The genius of US higher education system is helping kids to graduate with not only skills in their chosen discipline but it build them to be a well-rounded person with some significant weight on coursework outside of their fields of study. This creates opportunities for creativity and innovation that has helped fuel US and world economies. That said, there is one significant challenge to the US higher education system. I worry about the sustainability of US higher education system from the cost model perspective. Comparing US higher education system to Indian or to that matter almost any other country is like comparing apples and oranges. I say that because in US – as a sum total - there are more seats available in colleges for students than overall applicants. A kid who wants to have a college education will be able to get one if ranking of schools is not a top consideration. In India the ratio of interested applicants to the available seats is completely lopsided. Things are getting better in India too but the capacity constraint is structural and there is no immediate solution to it. IAGB : What are your future plans in regards to community service? Do you have plans to run for a political office? Anil Saigal: I have never thought of running for office but I do enjoy looking at how policy works. Recently I was nominated as Commissioner to serve on Asian American Commission. We don’t directly write policy but do look at, comment, support, oppose when Bills are under process of being written and framed. The entire process of due diligence before a Bill comes to the House floor for a vote excites me. As an example, presently a House Bill is under consideration where more data is being requisitioned under the current classification of simply “Asian American” check box that we usually see under demographic information when filling out various forms. Since all Asians are not equal as a group and some communities are more economically better off than others, this additional data can have significant consequences such as on distribution of resources. Consequently, there can be some winners and some losers. In short, Policy work does interest me. IAGB : Ranjani is known for her various roles – from her dancing to her priesting and so many more. Do you have a favorite Ranjani in a particular role? Anil Saigal: For a strong and successful relationship both have to support and complement each other. In the beginning her dance and her friendly demeanor, her outlook towards life attracted me to her. She has helped me to appreciate Arts and Culture more. I am blessed in many ways to spend my life with her. Anil Saigal: The story from the Bollywood movie - Two States story rings true in our household. We both grew up outside of our birth states back in India. She grew up on IIT campus in Mumbai and I grew up in Bhilai and both were fortunate to be exposed to lot of diversity growing up and hence we adjusted very easily. IAGB : What do you do for fun? Anil Saigal: I consider all my community service as fun. I am also blessed to in education. There is nothing I like more than teaching. It is wonderful that my work is a lot of fun. 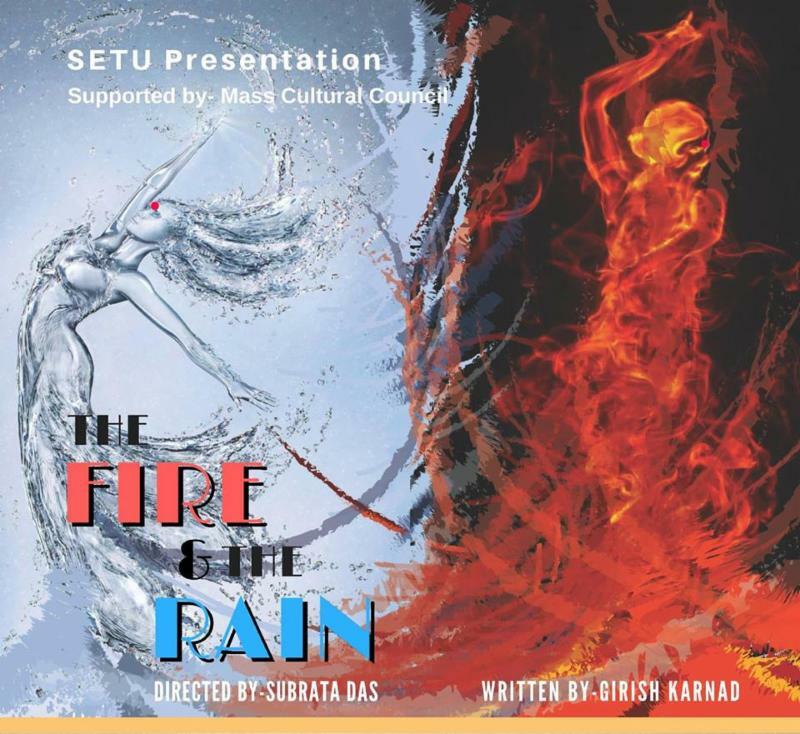 Stage Ensemble Theater Unit (SETU) presents Girish Karnad's classic play in English. The play illuminates age-old human relationships with gods, rituals and sacrifices, and the complex societal order of the Indian caste system. As an experimental production featuring an "all-female" cast, the play is not about women pretending to be men. Rather, it is about giving women the opportunity to take on roles that were created for male actors holding aggressive, destructive, and violent characteristics. 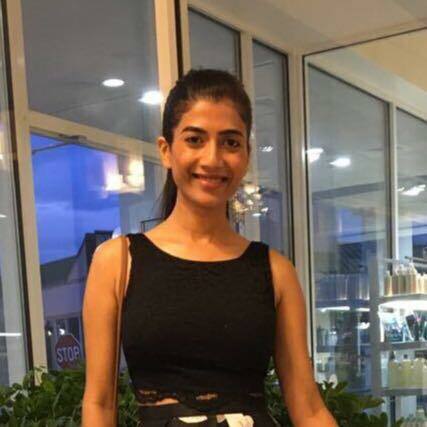 Male-chauvinism performed by women will bring to the audience's attention the unspeakable behavior that is often accepted as norm in Indian society. Please pencil in the dates for three shows at historic Belmont Town Hall Theater with two dozen actors and dancers. Tickets are available from Lokvani.